If seeking for Barberry, we are the name to be reckoned with. 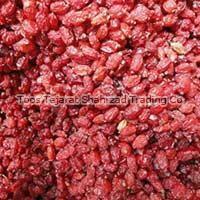 We are acclaimed Manufacturer, Supplier and Exporter of Barberry in Iran & abroad. Our range encompassing Puffy and Sun Dried Barberries are cultivated properly under the supervision of expert agriculturists. We offer them in meticulous packaging in any quantity required by customers. With us, stay assured of receiving the best in terms of quality, pricing and delivery. 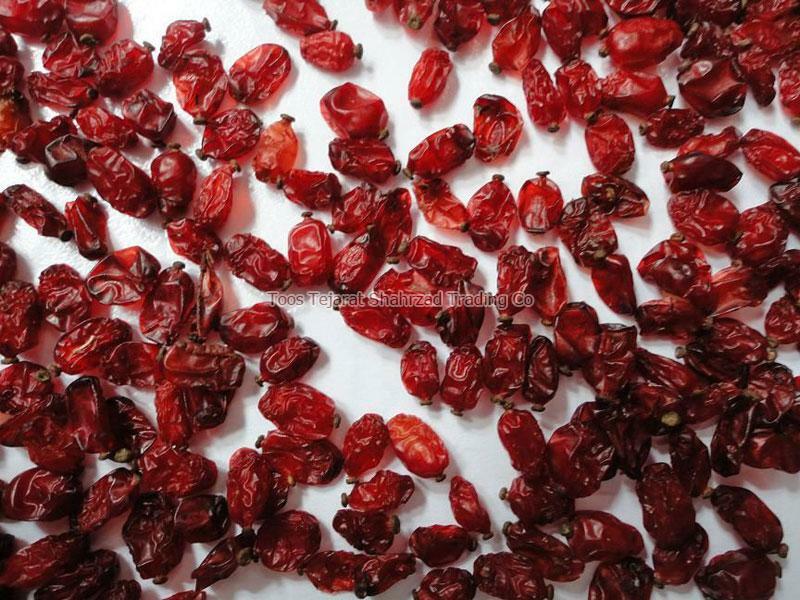 Normal or Seedless Barberry (Berberis vulgaris) contains organic acids and phenol compounds that contain anthocyanin and carotenoide pigments as well as phenolase, polyphenolase and glycosidase enzymes. 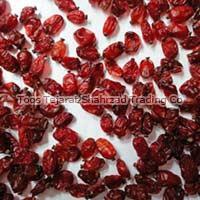 In Iran people drink barberry juice and use its fruit in preparing food, jam, pickles, syrups, round flat candy, dried barberry concentrate, and Sohan Asali (a traditional Iranian sweet). 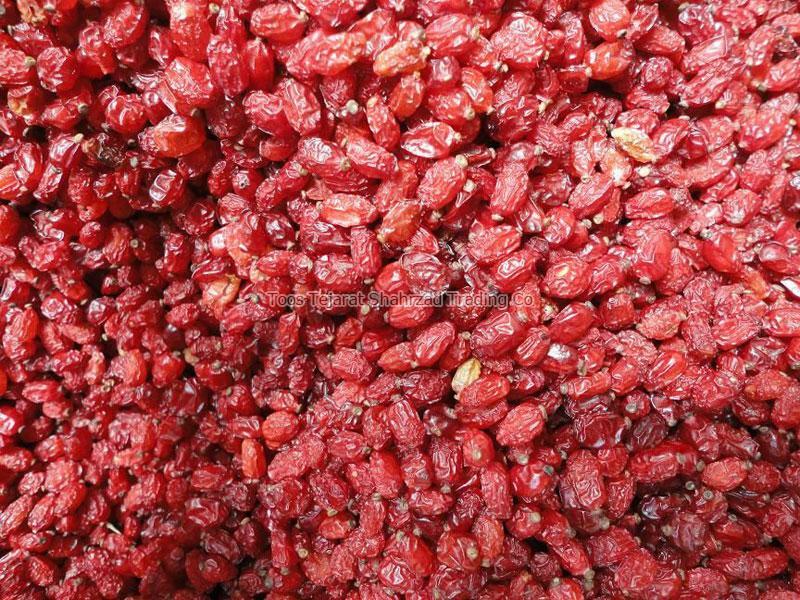 In recent years in order to make industrial use of barberries much research has been conducted on preparing different products such as beverages, sauce, jelly, candy, pastilles, colored edible powder etc. from barberries. Due to their cold and dry nature, barberries are used to reinforce the heart and liver, as an analgesic for the stomach and anticoagulant and their leaves are used in affections resulting from the lack of Vitamin C, to treat gastric ulcer, treating diarrhea, edema, and treating scurvy. Based on more studies, the majority of the medical properties of barberries are related to the different alkaloids existing in the different parts of this plant. In order to produce the puffy type of Barberries, the branches of the plant is being cut off with the fruit on it and then it will be places on wooden bars in a place with continuous air stream from 4 sides. The drying process normally takes 4 to 5 months. After the Barberries are dried they are being separated from the branches by a machine and then passed through a vacuum machine to remove foreign objects. In order to produce the sundried type of Barberries, the fruits are taken off of the branches and placed under direct sunlight to dry. The drying process normally takes 4 weeks. Packaging Details We could pack as per customer request. In carton, vacuum pack and plastic.